You can use the cover and shade created by plants to make your yard and landscape a little cooler in summertime. A little planning and planting can pay off in the future. Continue reading for more information on what to plant where and how it will help. For quicker and less expensive relief from summer heat, plant vines! 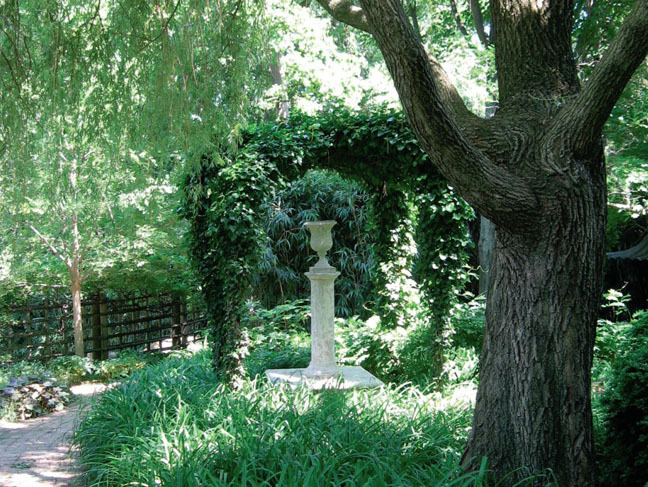 When trained to climb a trellis or arbor, Leafy vining plants like Virginia creeper, clematis, grapes and more will offer ample midsummer shade over an outdoor living area! There’s nothing as cool as sitting under the shade of an old oak tree. Growing shade trees is the greenest way to block the sun on patios and decks. Not only do they reduce the cost of cooling your living area, they help clean the air of carbon emissions. Transform a heat-retaining yard into a cool refuge with “green mulch”. Ground cover plants including sedum and creeping juniper, reduce glare and heat buildup almost as effectively as grass but require far less maintenance.